Laurie Here - Contemporary Fiction and MORE - Book Reviews: BEST OF 2014 #GIVEAWAY HOP! #ENTER 12-11 to 12-18! 1 #Winner #UGLYLove in PRINT! BEST OF 2014 #GIVEAWAY HOP! #ENTER 12-11 to 12-18! 1 #Winner #UGLYLove in PRINT! Great thanks to our Sponsors, Bookhounds and I Am A Reader! Thank you!!! 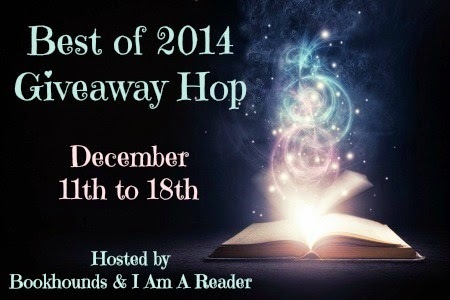 Welcome to the BEST OF 2014 #GIVEAWAY HOP! INTERNATIONAL #GIVEAWAY! - As long the Book Depository can deliver to your address! US - This book will come from #Amazon! '1' #WINNER! 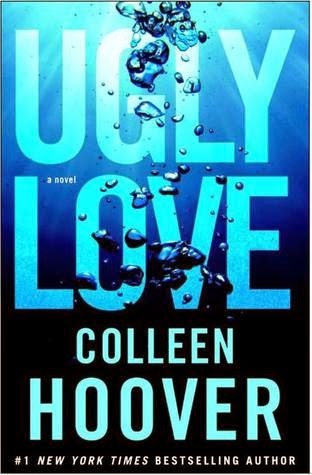 You will receive ONE #PRINT COPY OF #UGLYLove by +Colleen Hoover ! Even "I" don't own the print copy! So many of us bought and ordered the ebook version of this book so we could GET IT IMMEDIATELY when it released at midnight the day it did! I remember! That was MY intention! I wanted it and I was going to read is RIGHT THEN! DONE! However, don't we ALL want the PRINT VERSION? I DO!!! This is going to be one of MY Christmas presents from ME to ME! LOL!!! My husband and I don't buy for each other - strange, huh! I AGREE!!! So I make UP for it! HA, HA!!! I may even go a little overboard at times, too! LOL!!! And NO shhhh about it!! I deserve it like ALL OF YOU deserve a chance to win a FREE copy of this, too! We ALL LOVE Colleen Hoover, and here's your chance! Just fill out the form below! Good luck, but most of ALL, ENJOY IT!! Frame it if you would rather do so, make a framed collage out of it if you want to keep it in pristine condition, seal it in glass, or, read it! You can do whatever you want to do with it! (I'm thinking of a framed collage!!! Ooooo! Maybe I'll try to keep it behind glass to 'try' to keep any dust off of it?? Hmmm??? What do you think? HERE IS THE FORM YOU NEED TO FILL OUT! IT'S RIGHT BELOW! THE OTHER BLOGS IN THIS HOP ARE BELOW THE FORM WITH OTHER #GIVEAWAYS LISTED, TOO, ALL ON THIS BLOG! YOU COULD WIN A LOT OF CASH!!! There is NOTHING better than winning a TON of PAYPAL CASH at the Holidays!!! Good Luck!! BEFORE YOU GO - LOOK IN THE LEFT SIDE COLUMN AT THE TOP! You'll see a TON of #PAYPAL CASH GIVEAWAYS, ONE AFTER THE OTHER WHICH YOU CAN ENTER STILL! There should be 3 of them! WOW!! Go ahead and enter! If you get lost, click on the HOME button OR I will have THIS GIVEAWAY listed in the SAME PLACE - THE LEFT SIDE COLUMN shortly! Click on it and you'll be back HERE to be able to see the other blogs! There is another Blog Hop ENDING AT MIDNIGHT TONIGHT - THE PHOTO IS A HEART OF STARS! IT'S THE 2014 DEBUT AUTHOR GIVEAWAY HOP! ENTER IT! YOU MIGHT WIN A LOT!!! THANK YOU SOOOO MUCH FOR COMING BY! I REALLY APPRECIATE IT!!! Here are ALL the OTHER BLOGS PARTICIPATING IN THIS HOP! HOP TO THEM AND ENTER THEIR GIVEAWAYS, TOO! GOOD LUCK!!! Thanks so much for the giveaway! I would love to read this book, especially as it is going to be a movie soon as well! I haven't read any books by this author before.